I saw everyone’s posts and comments about Marie Kondo and thought it looked interesting. The rave reviews kept on coming in and not just from my network of friends, people I follow on Instagram and others online were now massive fans of Marie Kondo. Yes, I might be late to get with the KonMari Method or watch it. 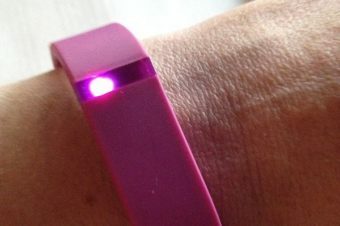 I did know about it before but never implemented it. My auntie read Marie’s book and followed what she recommended and has had great results. 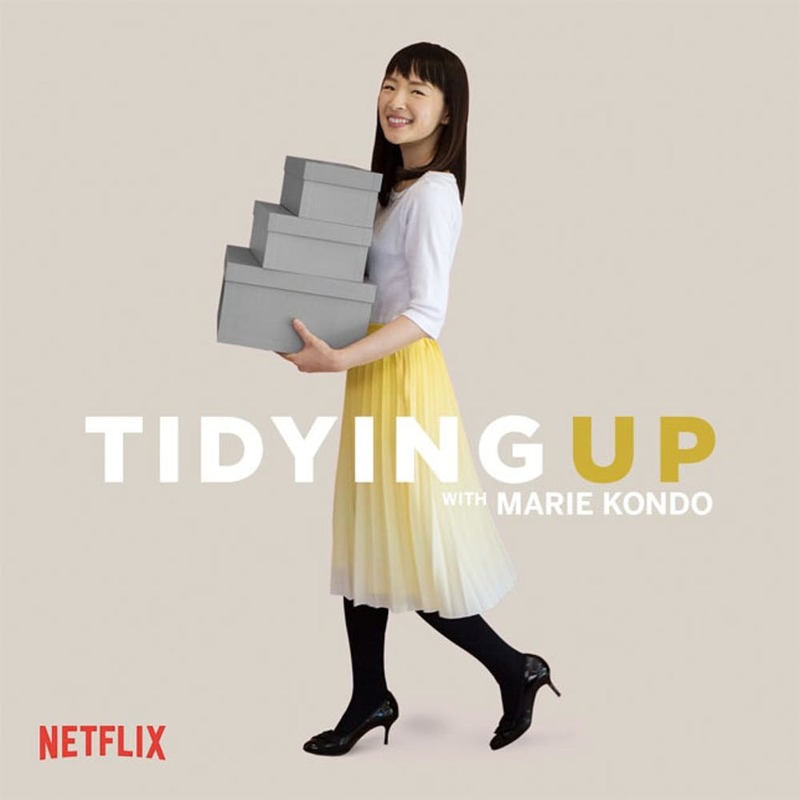 Marie Kondo is a tidying expert and a best selling author. Her latest show is featured on Netflix and if you haven’t seen it yet, I would recommend you watch all episodes. I’ve nearly completed the series and I must say that the results are stunning to say the least. 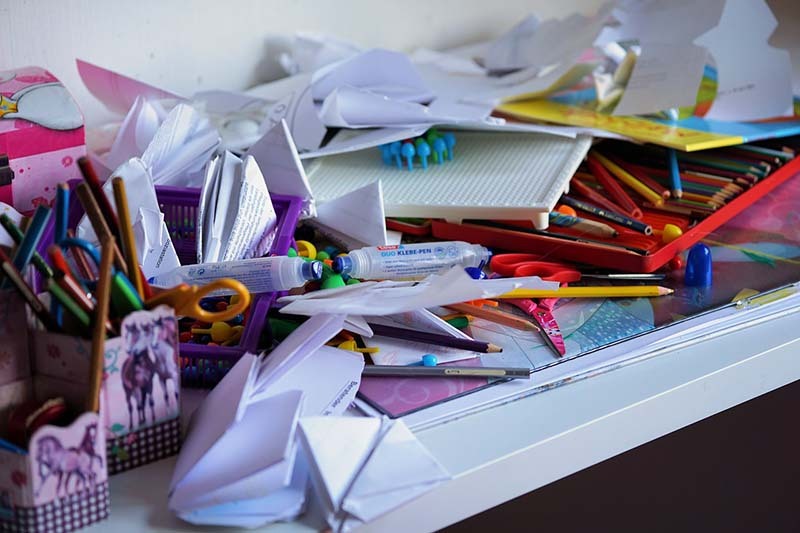 Not only does Marie help families, and couples with their clutter the flow on effect changes relationships and allows for a more harmonious home. “The KonMari Method™ encourages tidying by category – not by location – beginning with clothes, then moving on to books, papers, komono (miscellaneous items), and, finally, sentimental items. Keep only those things that speak to the heart, and discard items that no longer spark joy. Thank them for their service – then let them go. I had no idea that the show had made a deep impact until I was shopping with one of my daughters and I tried on a dress. This dress looked okay but I was unsure about it. My daughter said I looked pretty in it, but deep down I felt dumpy and frumpy in it. Yep, Now I’m using Marie’s signature phrase, only keep or have things that spark joy. And the answer was a BIG NO! So this dress never got purchased and has saved my bank balance and the clutter that it would be adding to my chaotic house currently. Who knew from a few episodes already that I would be looking for items that really spark joy and that I actually need. I have noticed that charity shops have been overwhelmed with donations and I think that the KonMari method might be largely responsible for this. I do hope that all the usable items go to people and places that need them. 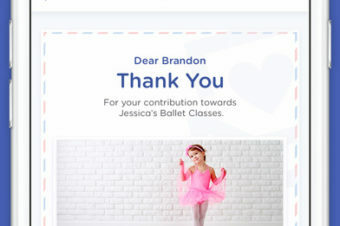 Some charity organisations have said that they cannot accept anymore donations. Hopefully when I start my process of tidying I can give away items that might help others. 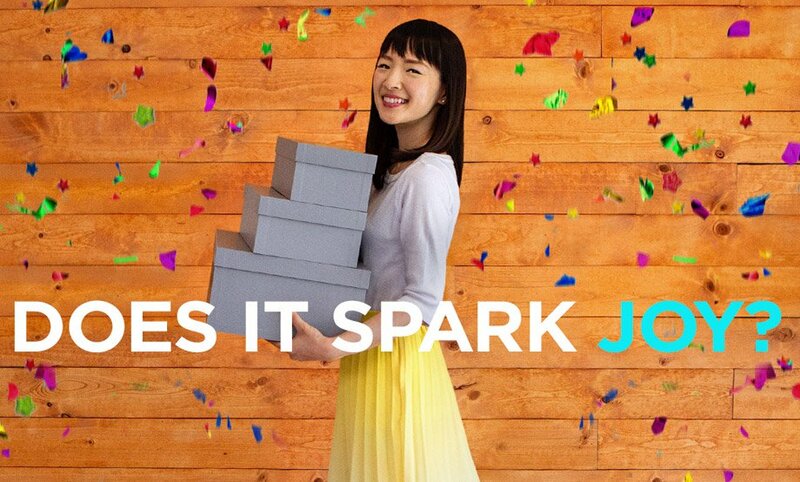 Have you been watching Marie Kondo’s new show on Netflix? Have you put her method into practice? If you have let me know how using the KonMari Method has helped you, the house and family. Not an actual picture of the kids desk but pretty accurate. Soon the KonMari Method will make this image of mess no more! As a HUGE thank you for subscribing, I’m giving you a FREE Monster Cupcake Topper printable. Just subscribe and then you can download you freebie! I have also watched the series and am now slowly working my way through my house.